Internally Displaced Persons (IDPs) in Plateau State have described the Church of Christ in Nations (COCIN) as a friend to them. This is in view of the Church's sustained humanitarian support to them since the recent attacks that forced them out of their homes. The IDPs made their feelings known while receiving relief materials from the Church on Thursday. 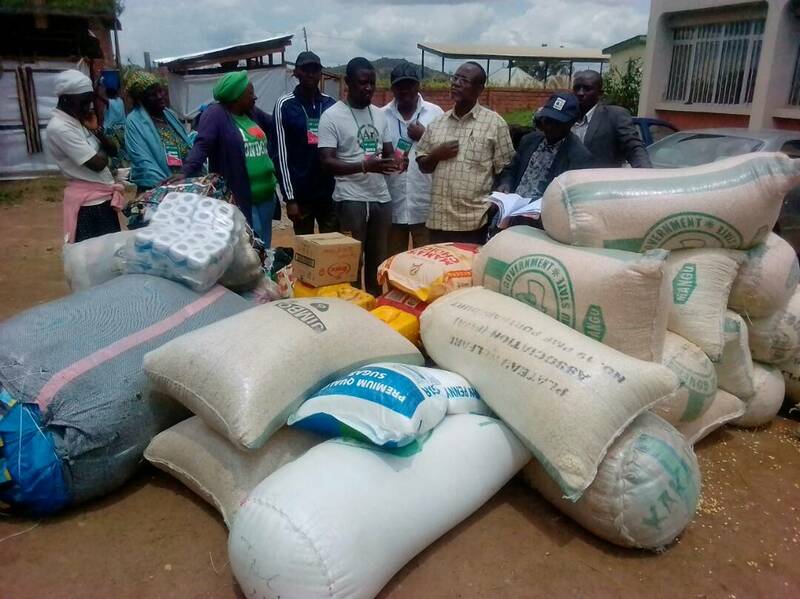 Director of Administration at the Geosciences IDPs camp, Anguldi, Jos, Mr. Gyang Alfred who received the items from the COCIN Relief Materials Committee said amongst all the groups, government agencies, private organizations and Churches that have supported them, COCIN stands out. "COCIN has been a brother to us in the camp right from the day one, they are the ones that have been coming to worship with the IDPs every Sunday through the neighbouring COCIN church here. "They have sent us medical personnel that have come to attend to our health needs, provided facility for us to use as School apart from assorted relief materials to us always"
He appreciated the leadership of the church for what he described as real gospel and prayed God to continue to strengthen the Church as he stressed the need for unity among the denominations. Mr. Alfred enumerated some challenges of the camp to includes nutritional need of especially the children and breastfeeding mothers, hygiene of the environment because according to him they have up to 2674, IDPs in the camp so the toilet facility is not enough despite the Red Cross has added 3 more toilet to them yet is not enough. He thanked both the state and local governments for their support and the deployment of teachers to teach some of the students in the Camp and the Red Cross society for being with them all through. Materials committee leader, Rev. Davou Jakawa, said the leadership of the Church thought it wise to set up the committee for the purpose of looking into the plights of the IDPs with the aim of bringing succour to them. He urged the camp leaders to be fair in sharing of whatever is been giving to them and prayed God for peace to enable them return to their homes. The Committee which has three days to visit the 17 IDPs camps has so far visited Geosciences, Riyom and Rahoss Camps. Items donated by the Church includes food items like Maize, Rice, Beans, Gari, Palm oil, Groundnut oil, Maggi, Salt, Sugar, Clothes, toiletries among others. The Church had last month delivered various relief items to the camps with different other church units following suit. The Church is believed to still be mobilizing more support for the IDPs from its members worldwide.